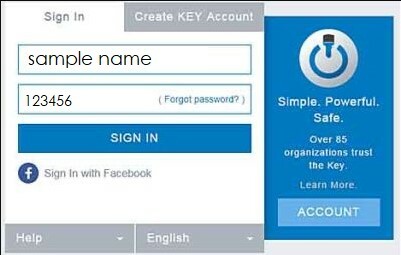 Click on the key icon in the upper right corner of this page, then type in your e-mail address and a password of your choice to create your Key account. Click on the Key icon on the top right corner of this page and use your existing login. Once you have created or activated your Key login, we will verify your connection to Agape and give you access to the appropriate communities and the Staff Area. To offer a higher level of security, logging in with the Key now requires an authentication code once every 30 days. This is part of our 2-Step Verification process. Prepare your personal devices for 2-Step Verification using the instructions available here. 2-Step Verification codes for Key are not the same codes as those generated for your email address. 2-Step Verification codes for Key cannot be sent to you via text message. Download Google Authenticator that can generate 2-Step Verification codes on your mobile device. If you have any problems setting up 2-Step Verification on your Key account, please contact us at info@agapeeurope.org and we would be happy to assist you. This image is only a screenshot. Click on the Key icon in the upper right corner of your screen.